…Fantastic! I think that’s awesome. Do it! The reason I’m writing this post is that I had someone reach out to me last week after the article in the Herald, with an idea they had for a blog sort-of-thing. They wanted to make sure they wouldn’t be stepping on my toes if they did it, and they were also wondering if there were opportunities for us to collaborate. My answer? No, they’re not stepping on my toes at all, and yes, absolutely we can collaborate! I’ve been asked a few times over the past two years by people wanting to do similar projects as me, if I minded if they did that. And each time, I told them they were doing rad things, and encouraged them. And I’ll say it again any time I’m asked, but just for future reference, I’ll say this: I don’t really believe there is such a thing as competition, when it comes to telling the stories of our beautiful home. I mean, sure, I have an ego like everyone else, and it rears its head sometimes, and preens or gets bitchy, up there inside my brain. But overall, I really do think that the more Cape Breton stories and lives that are out there, the better. And, when it comes to blogging, a medium which is so personal and unique to the person writing the blog, the only person you’re really competing against is yourself. 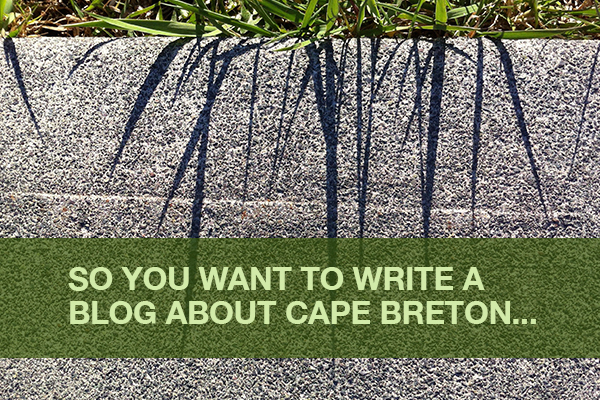 So, if you’ve had the thought that you’d like to try your hand at blogging about your life on Cape Breton Island, by all means, do! I’d love to help any way I can, whether that’s giving advice on the various elements of putting a blog together, from writing to photos to hosting, or by adding your blog to my list of Cape Breton blogs, or by just checking out your stuff and supporting you that way. Do get in touch! 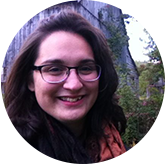 This entry was posted in Community, Day to Day Life, Writing and tagged blogging, Cape Breton. Bookmark the permalink.